I'm just showing some of the painting. 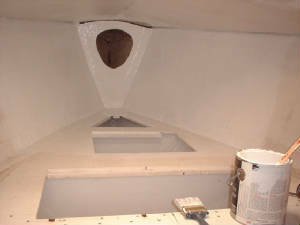 Since this photo, the whole V-berth has been painted. The storage areas have two new coats of paint.